A company’s reason to rebrand can be just anything ranging from wanting to have a fancier name or a modern look, to feeling they’d like to be a little more of this or that. Just like x, y or z… (read competitors), they want to see to it that …. (read they want exacty the same). These are no good reasons to rebrand. A better reason or a better time to rebrand is when your value proposition is no longer in sync with what you are doing. Or when you realize your business or your ambitions have changed over time. Eventually we succeeded in reducing our activity to two words: Customer-centricity (focussing on what is best for the end customer) and Simplicity (making complex stuff simple, both for the customer and the end customer). Here is why we do what we do: we believe that simple things simply work better. And we want to help our customers with tools to simplify their business from an end-user perspective. What you offer, be it services or products, must be easy to understand, truely distinctive and easy to use. In other words, your end-user must see or feel the added value of doing business with you, without any effort whatsoever from his side. Even if what you do or what you offer is very complex; from an end-user perspective it should be crystal clear and simple. We listen to our customers. But we do not necessarily do what they ask. We never simply execute requirements. First, we evaluate. We want to make sure that what a customer asks for, can be turned into what he really needs for his customers. Secondly, the main exercise often comes down to turning a complex organisation-centric selling proposition into simple value propositions for end customers. 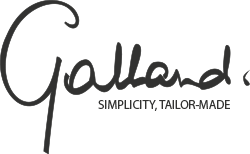 That is why we can proudly say consultancy at Galland is tailor-made. Because in our mind, tailor-made is customer-centricity at its best. To us it means: tailored to the customer’s situation to serve his customers best. And all this in the simplest possible way. 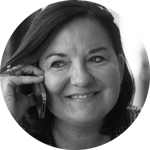 Ten years of Galland & partners – the learnings.